Download the Village Carols order form and place your order by post. Alternatively you can buy online via PayPal. Prices shown exclude £6.00 postage and packing. The 85 carols presented in this collection are part of an active traditional repertoire that has been recorded over the past forty years in pubs, chapels, churches, homes, and in the open air, in villages in Derbyshire. With its roots in eighteenth-century English vernacular musical life, it is a heritage that largely predates the predominant Victorian conception. This collection makes available in full score meticulous musical transcriptions of carols that have previously been unavailable; some of it nurtured in singer’s memories, others treasured in private family manuscripts. The performance of these carols, both by members of the communities from which they are drawn and by those keenly interested to share these remarkable traditions, will demonstrate the freshness and vigour of this genre. Through the collection, singers and instrumentalists are provided with the key to access this world of musical celebration. Moreover, the parts have been transposed to fall within the range of normal voices. It should be stressed that performance is equally successful sung a cappella or with keyboard or instrumental accompaniment, with opportunities for groups, ensembles and solo performance. The two main singing parts of treble and bass, often with fuguing passages, characterise the music. The style of performance is generally full voiced, with an air of competition between the parts. Thus the impression is of polyphony rather than sweet harmony – dramatic and uninhibited. The instrumental reductions should be played equally vigorously, rhythmically, and in fairly strict tempo, and for string players, with attacking use of the bow and minimal use of vibrato. They sound just as striking on other instruments appropriate to the ‘church gallery band’ sound – clarinets, oboes, flutes, bassoons, and free reed instruments, as well as brass. The volume comes with a scholarly introduction that describes the history and social context of the carolling and its repertoire, the manuscript sources, and editorial method, and offers guidance to performance. The detailed notes to the carols reference the origins and development of this repertoire in all its versions and variations, which has on the one hand a highly localised provenance but on the other, demonstrates local, regional, national and international transmission. 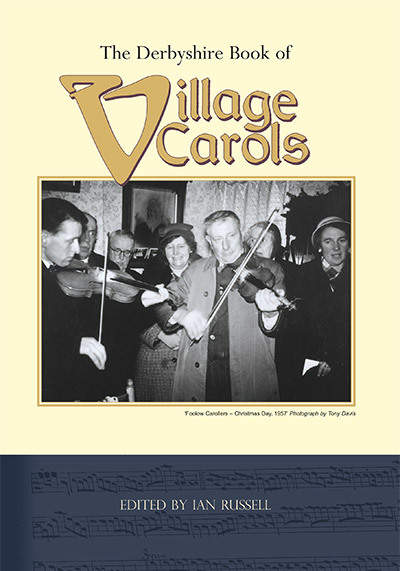 These village carols are not examples of cultural antiquities, but are a vibrant living tradition and the volume provides readers, enthusiasts, singers, instrumentalists and scholars with a portal through which its treasures can be found and explored.